When I was contemplating this month’s blog post, I considered several ideas, forgetting most of them by the time I got to the computer and discarding the rest as too deep to get into. Finally, as I sat watching a Thursday night football game (slow and BORING!!! 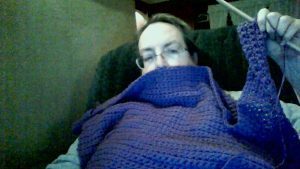 ), crocheting on a sweater that I started something like three years ago, I wondered if crochet was something that women did in Jane Austen’s day. Imagine my surprise when I learned that it was still a new craft back then! Crochet’s history is murky. No one really knows where it came from, but according to the Crochet Guild of America, it came out of a craft known as Tambour, which involved stretching fabric over a frame (I had heard of tambour frames before but never connected it with an actual craft) and using a needle with a hook on it to pull thread through, resulting in downward-facing loops. The guild goes on to say that crochet gained a foothold in Europe in the early 1800’s. 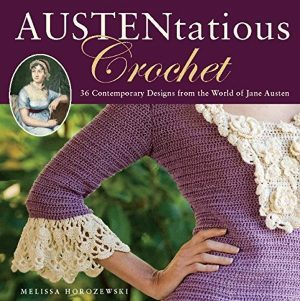 Some websites that describe Regency-era crafts indicate that Irish Crochet became popular in 1820, which is near the end of the Regency period. I can imagine Mrs. Bennet having a fondness for Irish lace, and adding it to the collars and cuffs of her gowns. Personally, I can’t imagine not crocheting. 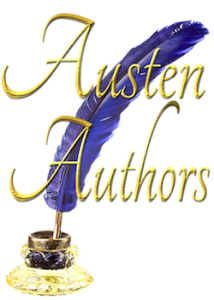 In Pride and Prejudice, Bingley comments that he has never heard a lady mentioned without her being described as accomplished, and mention was made of netting purses and painting screens. Both worthy activities, but…crochet can be used for more than decorating your home. I dug a little deeper. What about knitting? Not as enjoyable as crochet, but still works with yarn and makes sweaters. That is interesting; I read of Lizzy doing Tambour in a JAFF recently and looked up exactly what it is. At the risk of sounding impertinent 😉 if you can’t imagine not doing crochet, it’s taking an awfully long time to make that sweater! If one of your characters is going to knit or crochet, might I request that they use wool as opposed to yarn? It’s one of those Americanisms that jars readers from across the pond. Rather like ‘gotten’ (why make a short word longer anyway?) or ‘fall’ – such a boring word for the beautiful season of Autumn. 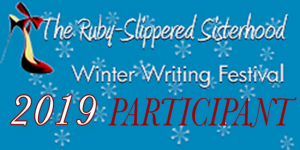 Here’s hoping you have time amongst your writing to complete that sweater before next winter! Looking forward to your next story.